Miscellaneous items can be found for sale here. You can find here all those extra bits and pieces you might need for your crystal experience. Information comes in the form of books, DVDs, CDs and we also have variou Aromatherapy bits and pieces, candles (and candle holders) and even the odd onyx ornament or marble vase! Choose from our range of incense sticks to calm and pacify your nerves. 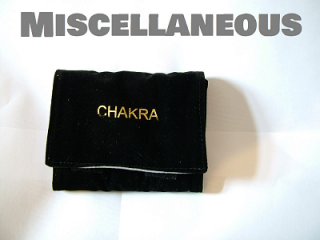 Buy a pouch to keep all of your precious crystals safe from harm or spiritualy cleanse rooms with our aromatic smudge sticks.